Just completed an AFV Knox Class Frigate. I’ve had this around for years and it is a bit special as I completed my 3rd class Midshipman cruise on her in the summer of 1974. The kit uses the Flagship model PE set. It worked pretty well but I had a lot of trouble learning how to attach the railings. I even purchased the “How To” CD from Flagship – it didn’t really help despite being touted as “everything you ever wanted to know about photo-etch”. It told me a lot about how to make photo-etch and how to bend but nothing on helping me with glues and how to attach complicated parts. Not recommended. I needed to scratch build the BPMDS (Sea Sparrow) launch on the aft deck in place of the CWIS gun and cut up the decals to represent 1063 as I knew her. The kit had a few area on the hull that needed attention due to sink holes. But generally the fit was good and the kit and photo-etch structures went together well. Here’s the final result. 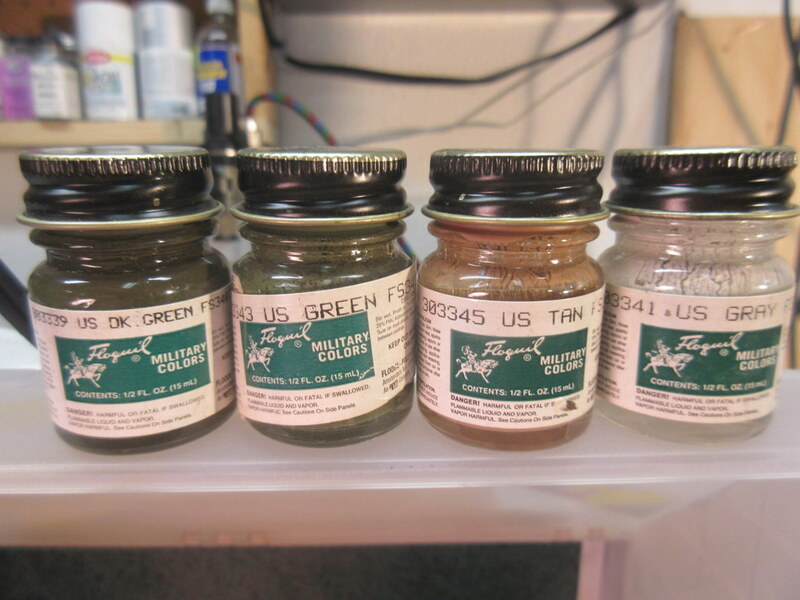 A final learning is that I used pastels to gently weather the kit like I do on aircraft kits but found on haze gray that the colors get darker with a coat of Dullcoat. After completing the CF-104 (last summer – many moons have passed) I was inspired to add yet another couple of two seat century series; an F-100F and F-105G, both in Wild Weasel configurations. Both of these kits gave me the chance to use some old Floquil ‘Nam camouflage paints I have been storing for just this moment. I’ve had them for 15 plus years! 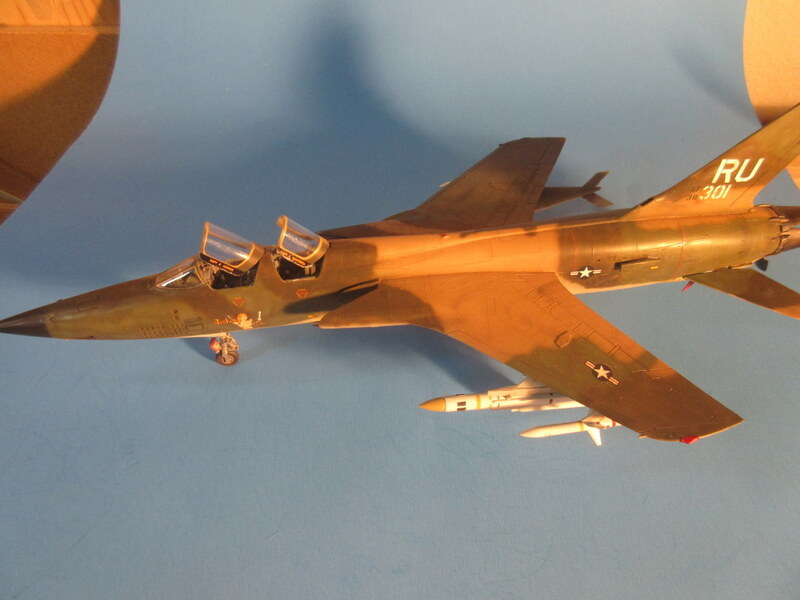 The Trumpeter F-100F is a wonderful kit, the first Trumpeter kit I have built. I used the Aires F-100F set for the cockpit and was pretty pleased with the result. 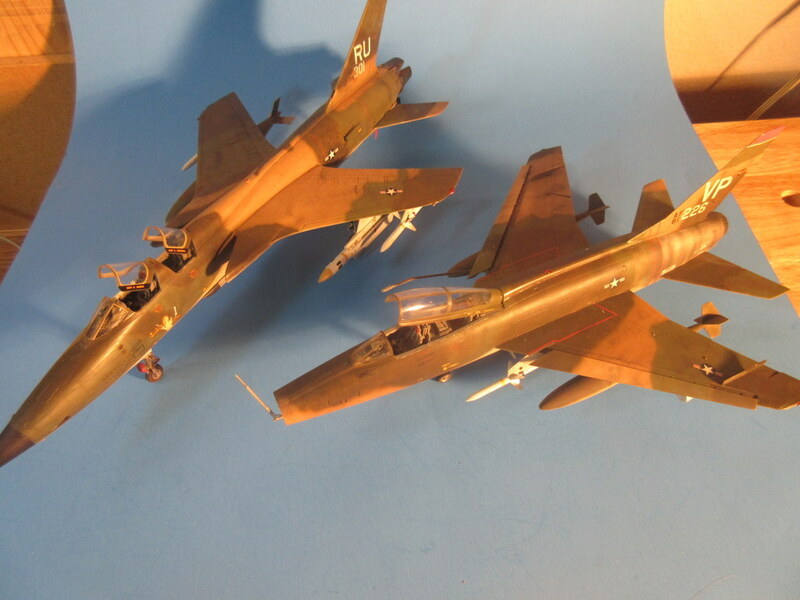 This set wasn’t quite a fiddly as the Backbox F-105G and contained some nice photo etch. 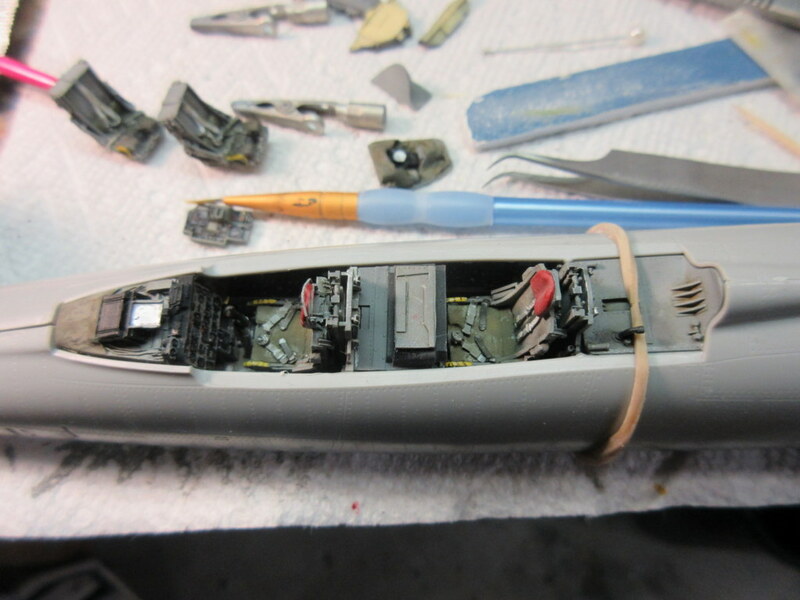 As you can see the pit looks pretty good inside the fuselage shell. 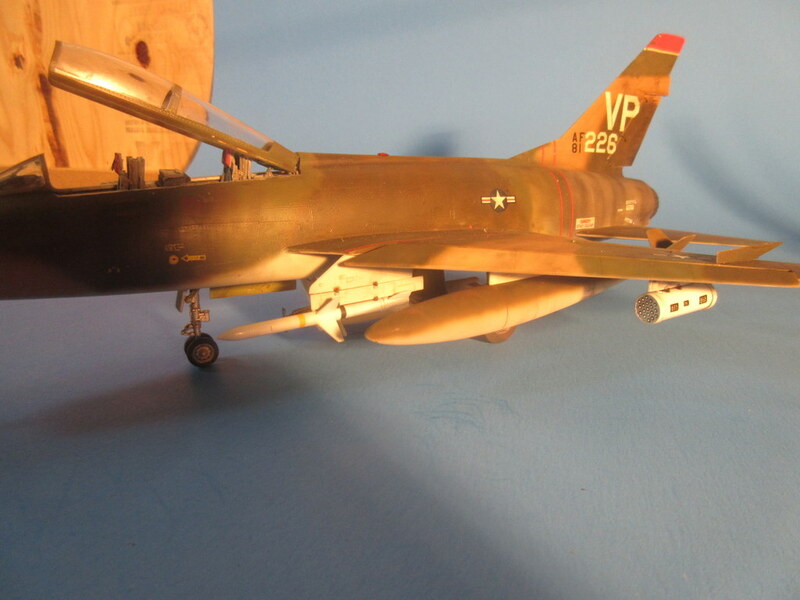 Next up was the venerable Monogram F-105G. I left the panel lines raised on this one, different from the F-105D I had built earlier in which I rescribed the panels. 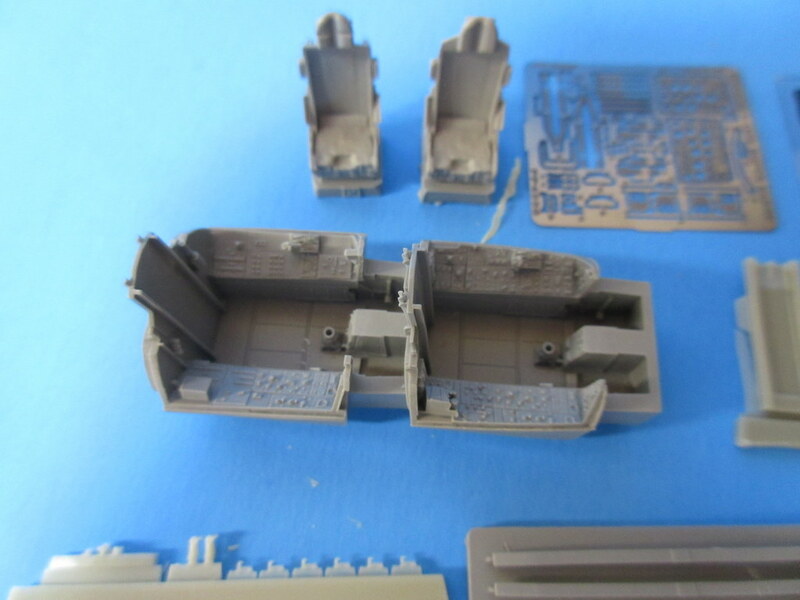 The cockpit set was very nicely detailed but was a bit fiddly to add all of the parts. No photo etch with this set. 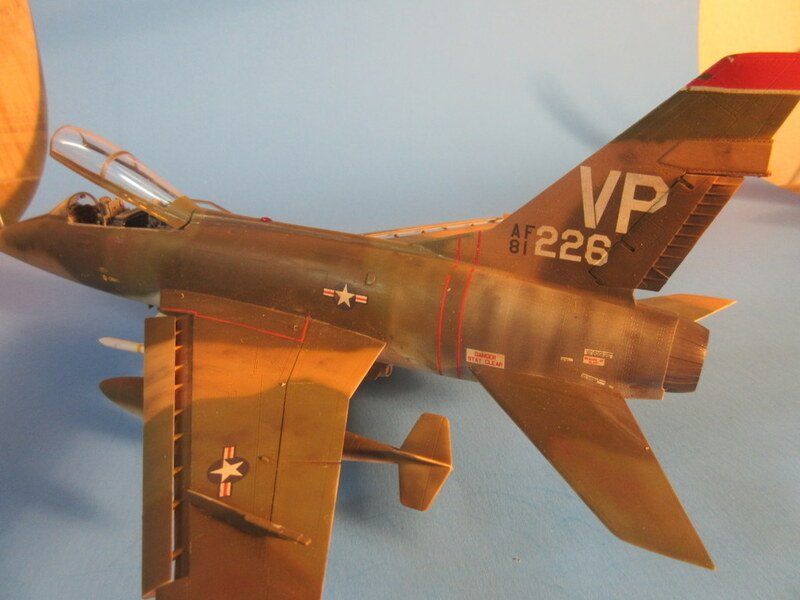 Both aircraft were painted with the ‘Nam colors previously described – freehand. I am surprised I waited so long to do a ‘Nam camo as these were a staple in my earlier modeling years. The FLoquil paints were fabulous. I sure am sorry Testors pulled the plug on them. 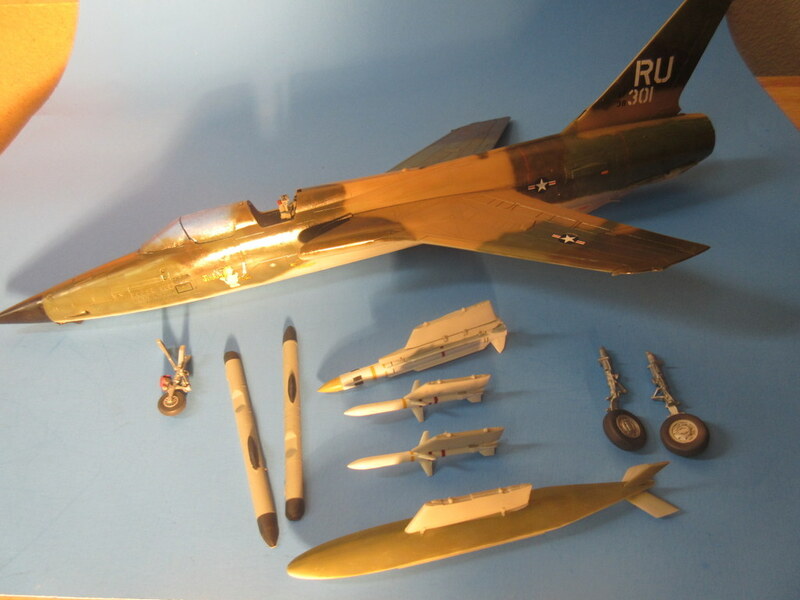 F-100F armament comes from two of the Hasegawa sets, and the Monogram kit had it’s own. A nice couple of 1/48 two seat Century Series to add to my collection. I now have single-seat F-100 through F-106 and two-seat F-100F, CF-104D, F-105G, and F-110 (Phantom) with an F-106B waiting in the on-deck circle!